To most people, that probably seems crazy. I ran two half marathons before my deep vein thrombosis (DVT or blood clots), and have run five more half marathons and dozens of shorter races since my DVT. I’ve been training for the NYC Marathon all summer and I have been consistently increasing my mileage every week so that I’ll be able to achieve 26.2 miles in less than seven weeks. But I never considered myself a runner. I’ve always made sure to emphasize to friends and family that I’m not really a runner. I go running, but I’m not really a runner. My leg hurts when I run, I’m not a runner. I’m only running to help with recovery. Running hurts, it’s not fun for me. I think I was worried that if I told people I was a runner, they would assume I was really good or really fast (I’m not, and that’s OK). I used my DVT as a crutch. And while running has allowed me to overcome my DVT and exceed doctor expecations, it’s also become an excuse. DVT gave me a bad leg. DVT weighed me down. DVT meant I was still slower than I was before. Runner’s high after 18 miles. But this Sunday, I got over that. This Sunday, I ran 18 miles and I felt really good! 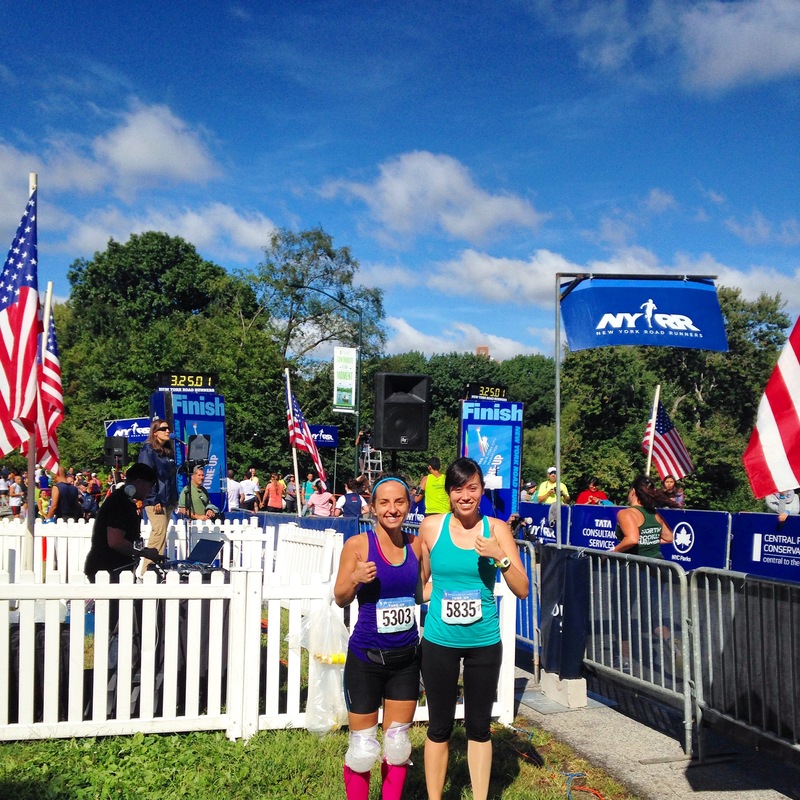 New York Road Runners sponsored an 18-Mile Marathon Tune-Up in Central Park this past weekend. I’d been nervous all week. I had trouble sleeping and a massive stomach ache. My 16-mile run from the week before had been exhausting. It was hot, I was on vacation in Vienna and lost, and I had to walk for parts of it. There was no way I was going to be able to add an extra two miles. Up until this point, so much of running had been about the destination — about becoming faster than I was pre-DVT, running longer than I had pre-DVT, being better than I was pre-DVT. It was about checking those boxes, and winning. But this weekend, something finally clicked. I knew I had over three hours of running ahead of me, and I eased into the running. I enjoyed the crowds of fellow New Yorkers who were also training for the marathon. I enjoyed the green in the trees and the crisp cool air. And I enjoyed the actual act of running. I embraced the pain, I embraced the struggle, and I embraced the journey. Suddenly, I was running faster, running longer and running easier. Those 18 miles felt great. I could have kept going. I’m so excited for 26.2.